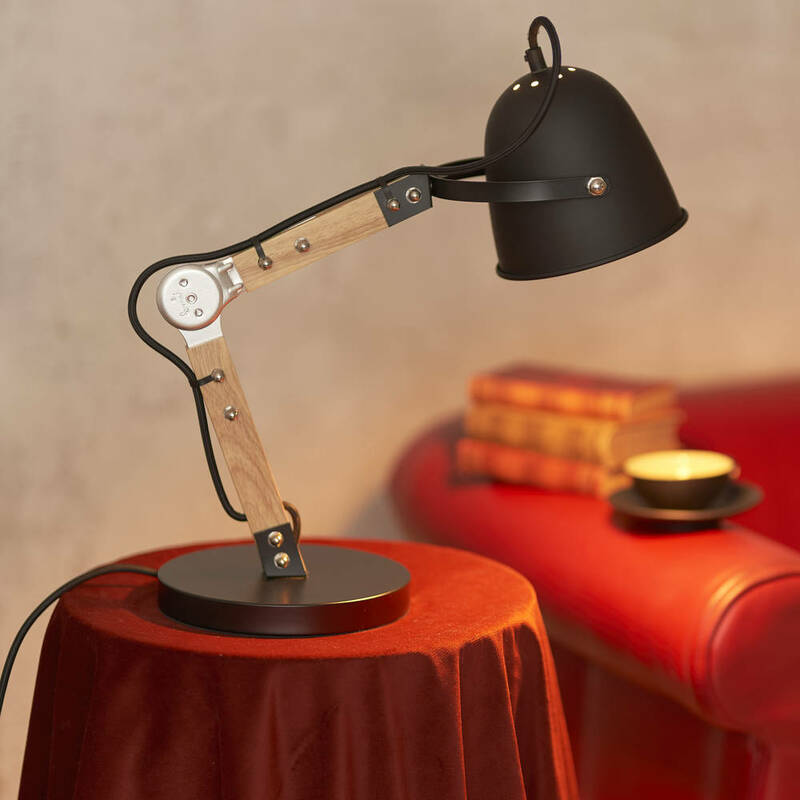 With its range of retro styled lamps German retro design house Opis Technology brings you the comfort your home deserves. Pleasantly shaped and made from quality materials, all Opis lamps are sturdy and come with cloth-clad cables for that extra bit of luxury. All plugs have an extra ground contact to make sure everything is safe. The Opis TL1 is a throwback to past times when it was still normal that lamps were sturdy and beautiful. It sits elegantly on your desk and impresses with its metal and wood frame. 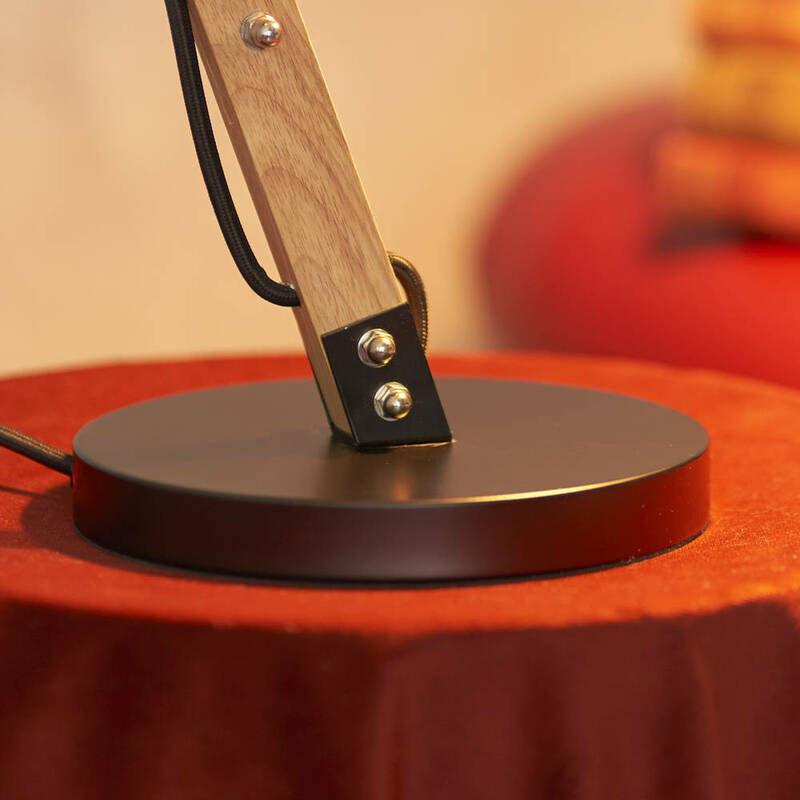 Assembly is child’s play: all you have to do is fasten the lampshade with the included wingnut and screw in any bulb of your choice with E27 socket up to 40 watts (bulb not included). 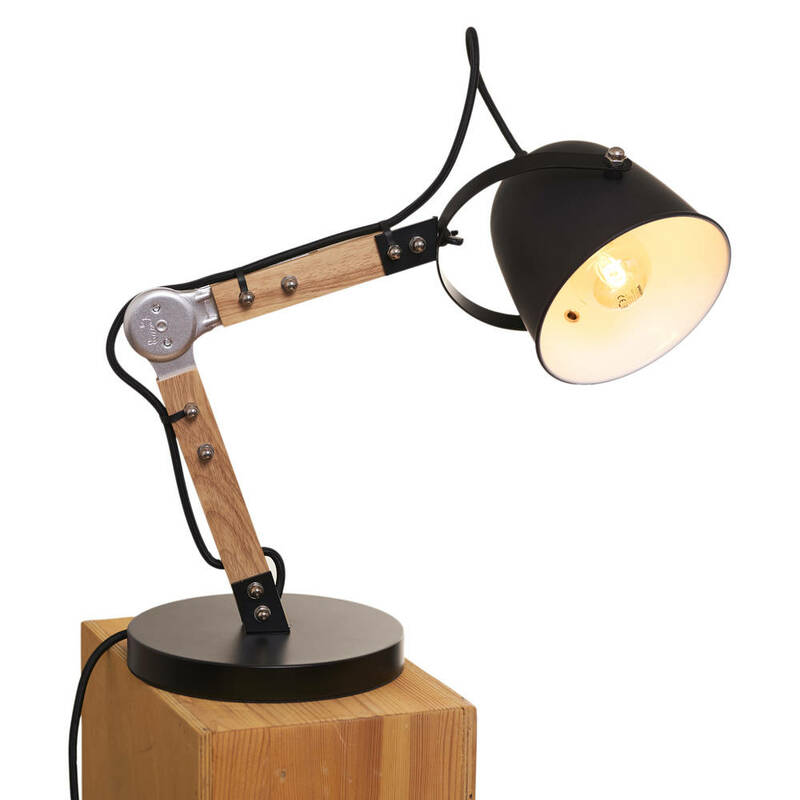 And should you need a somewhat bigger lamp, the Opis TL1 desktop lamp is the companion to the Opis FL1 floor lamp. And if you need support, that is what the Opis technical support team is here for. Just let us know your question. 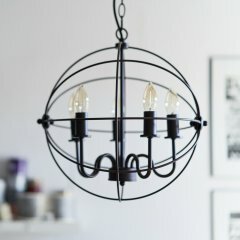 UNIQUE DESIGN: Are you tired of bland, everyday objects? Opis Technology lamps are refreshingly retro. Style your home. You deserve it. 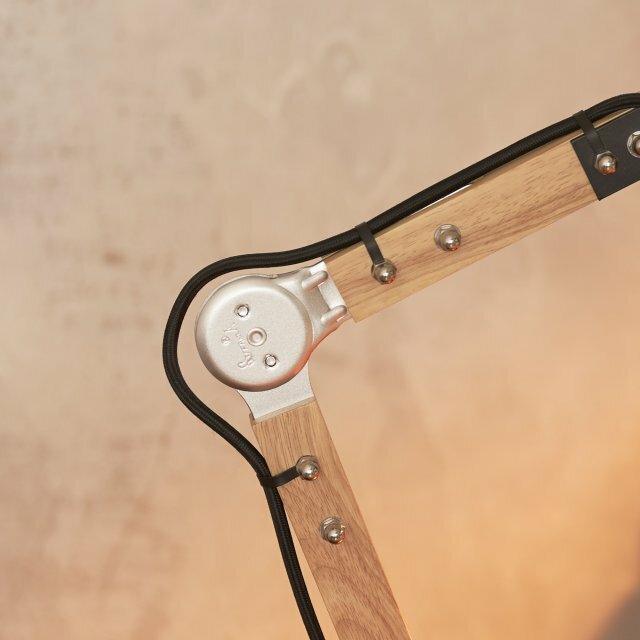 TYPE TL1: The Opis TL1 is a desk lamp / reading lamp that sits on your desk and is made from metal and wood. Its power cord is cloth-clad. The TL1 is the small cousin of the Opis FL1 floor lamp. 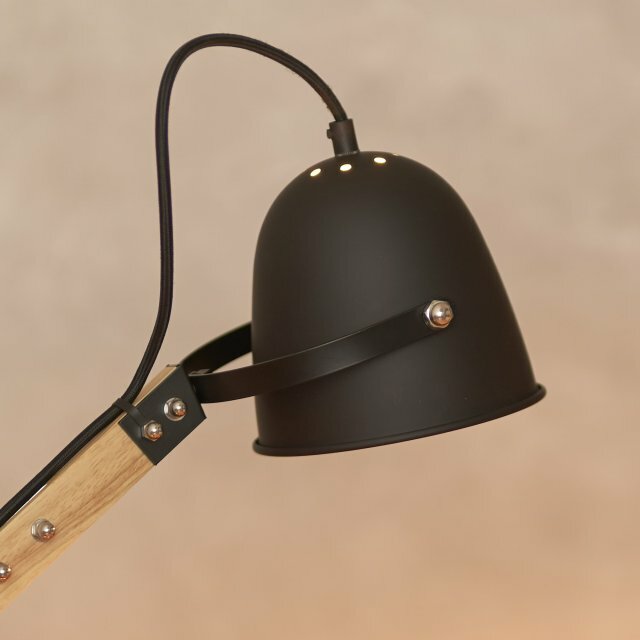 COLOUR: The Opis TL1 is made from brown wood and metal, painted in black. 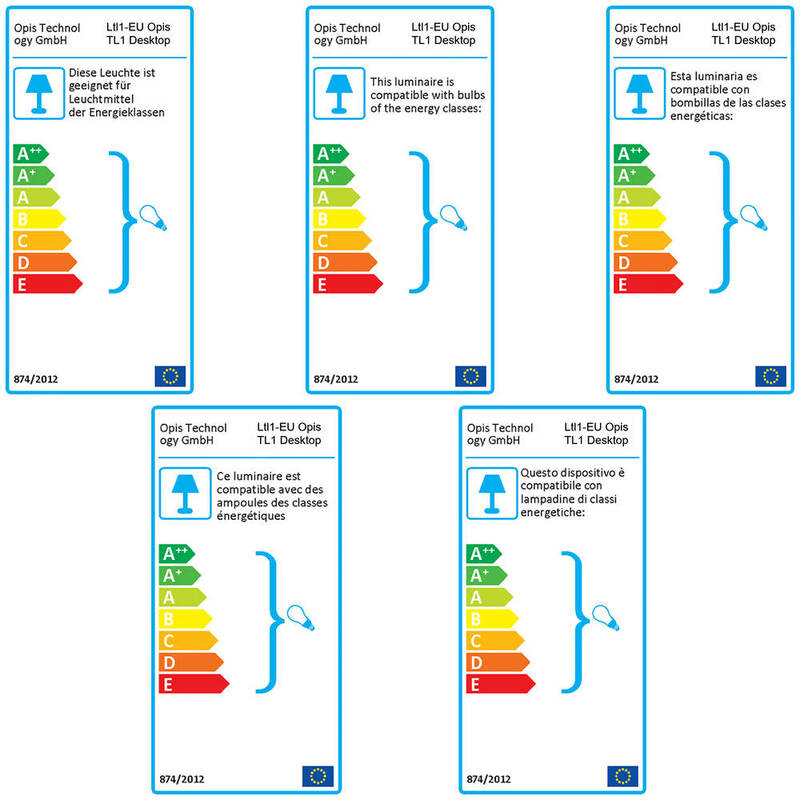 PLUG: The plug is a standard grounded UK type G plug/EU type EF pug/US type B plug. 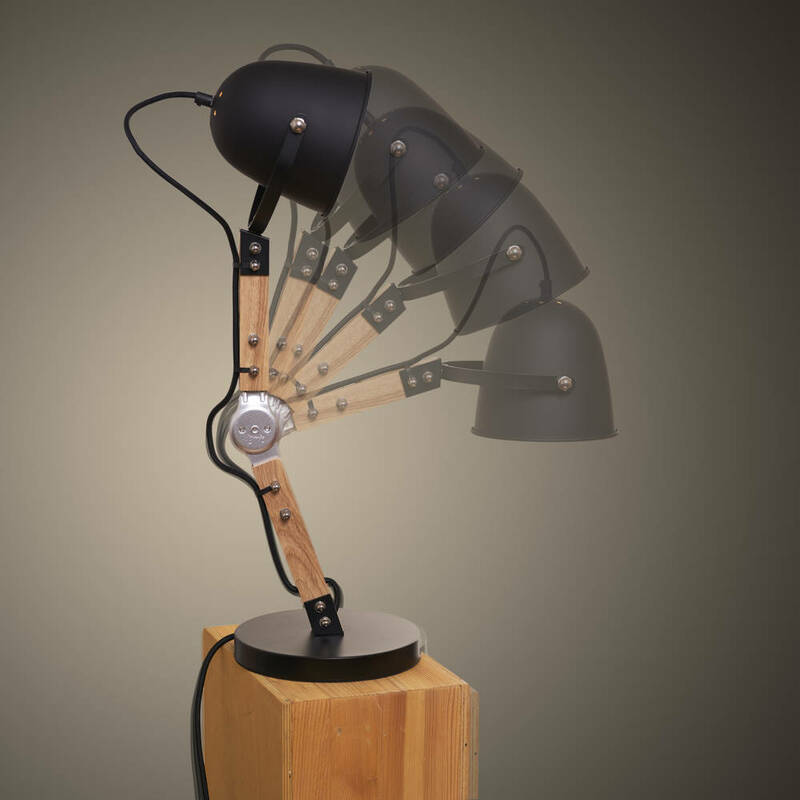 Quality outweighs quantity when it comes to Opis Technology’s retro styled lamps. In order to bring you only the most unique, high-quality, pleasing designs we restrict ourselves to a few select models. PL: The PL series are pendant lamps, that is lamps that hang from the ceiling. 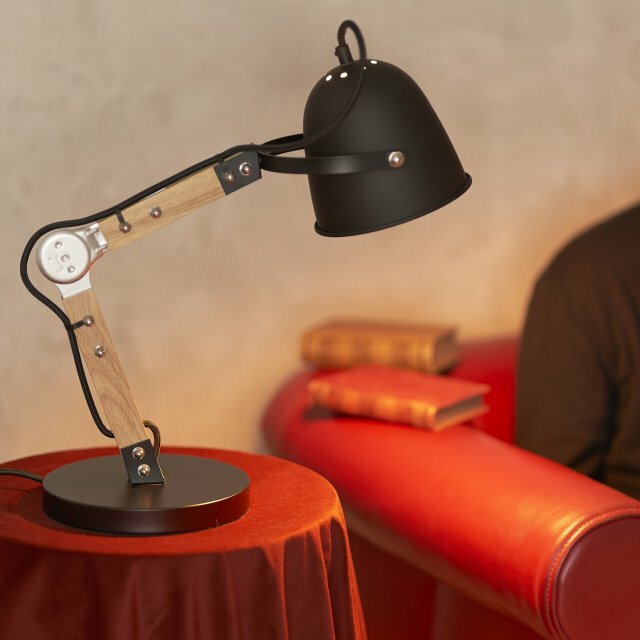 TL: The TL series are desktop lamps. FL: The FL series encompasses all lamps standing on the floor.